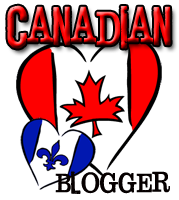 Addicted to Novels: Big Announcement!! Oh boy, do I have some good news for all of you today. I (Addicted to Novels) have been talking with S.M. McEachern over the past few weeks. S.M. McEachern is going to be releasing a new book cover for her novel ‘Sunset Rising’ in February. S.M. McEachern has asked us as a group to give her a hand and is going to be doing a group freebie. How is this freebie going to work, you ask? Well for the month of February ‘I’ have decided to place Sunset Rising as one of the books of the month for the group to read. S.M. 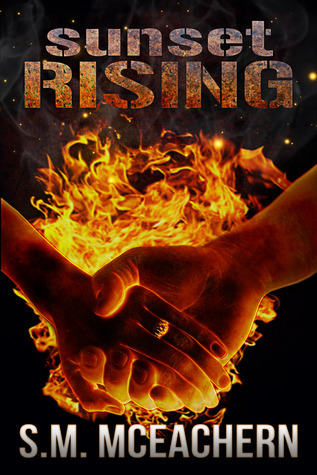 McEachern has been very kind and has offered –only to Addicted to Novels members- to give anyone interested a free e-book copy of Sunset Rising through Smash Words. Smash words is free and very easy to sign up for. Smash words has many formats, so most if not all people will be able to read Sunset Rising. How to get the freebie – Message myself (Ellen Wookey) or S.M. McEachern on February 1st 2013 for the code to use on Smashwords. Please visit and follow S.M. McEachern @ her blog: smmceachern.wordpress.com. S.M. McEachern will have a Sunset Rising Satellite Story up on her blog by February 1st and will put updates on where she is with writing Book 2. She is currently on page 40 for Book 2. (I cannot wait for book 2). I do hope you all participate is this fantastic opportunity. S.M. McEachern is looking for lots of feedback from Sunset Rising as she works on the second in the series. Please join and help us out with new book cover reveal. Check out spotlight Mondays for more about S.M. McEachern and visit her blog for updates. February 2024: The world is about to be devastated by a global nuclear war and a Hitler-like madman has seized control of the only shelter from the bombs. So when a group of civilians come to the Bio-Dome seeking refuge from the nuclear storm, they are forced to make a deal with the devil; submit to slavery or get out. Subjected to the inhumane living conditions of the Pit, the ragtag group of refugees are forced to agree to strict population control laws, including the Cull: execution at the age of thirty-five. 283 years later… Sunny O’Donnell, a slave born in the bowels of the Pit, has reached a breaking point in her life. In the wake of her mother’s execution, Sunny is torn between caring for her grieving father and protecting her own future by marrying Reyes Crowe. At seventeen years old, Sunny is already middle aged and past the time when most girls secure a husband, but she knows her father will lose his life if she leaves him now. Through a twist of fate, Sunny meets Leisel Holt, the daughter of the Dome’s insane President, and sees a spark of hope for the future of the Pit. In an effort to fan that spark into a flame, Sunny agrees to pose as the bride at Leisel’s wedding to Jack Kenner in order to save the bride from a possible assassination attempt. But instead of saving Leisel, Sunny unknowingly plays into her political game and ends up marrying Jack Kenner herself. Now on the run for crimes of treason, Sunny and her new husband discover that together they possess the power to raise an army. Must be a follower of this blog and/or a goodreads group member of Addicted To Novels in order to participate.